Once, I wanted to go into marketing. Before even making it out of college, though, I found the idea of manipulating the public to purchase a product somewhat distasteful and less enticing than, say, motivating the public to buy into a good idea. However, good ads do inspire me, so I was also inspired to watch the documentary, POM Wonderful Presents The Greatest Movie Ever Sold, created by Morgan Spurlock of Super Size Me fame. Spurlock aimed to create a documentary about product placement in film and fund the documentary through, of course, product placement. The process of hunting down compatible products highlighted the challenge of getting just one brand to buy into a gimmick, but then having an avalanche of products aim to follow suite, all wanting their moment in front of the camera, all wanting Spurlock's name on a contract and their logo on a sleeve. And through the folly of the process, I began to see just how commercialized the blockbuster films have to be in order to make their budget. The Greatest Movie Ever Sold wasn't billowing with shocking revelations, but it amused and intrigued. 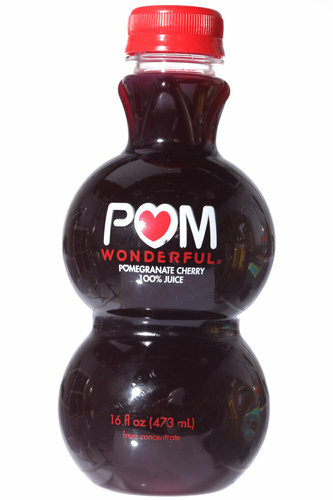 I was even becoming quite enticed to try POM Wonderful the next time I see it. * Then came the scene filmed at a high school in Broward County, Florida. This public high school, in order to enhance its paltry budget, sells ad space in its school buses. We've all seen the banners on football stadium fences, so seeing banners on this school's front fence may not have been that out of the ordinary. However, to profit from the captive audience of school bus riders seems even too dirty for a government program (i.e., the public school system). The ads were specifically chosen to be relevant and beneficial to the students, like a homework hotline, but shouldn't we weep that a school is so desperate for funds that it began to sell space to corporations to fund a public good? Mayor Karl Dean of Nashville recently proposed a property tax hike, the first in his seven-year tenure, and still at a lower level than when he took office. Mayor Dean's dedication to expanding teacher presence and police presence in Nashville stands out amongst his chief accomplishments, and this tax hike will fund more teachers and more police officers in the wake of $3 million in department cuts this year. While we could probably all agree that ideally tax levels would remain level while a government learns to operate within its means, and growth of the economy should fill in the gaps, well, we live in a real world economy with bumps and bubbles and human foibles. And we must invest in certain things consistently to reap greater economic rewards later, namely, proper education for the public. No matter how anyone feels about government versus private industry, if our communities must turn to corporations with their private agendas to fund public education, we are failing our children and our ability to compete in a global market in the years to come. It's a worse short-sighted investment than JP Morgan's recent speculation debacle, for in this scenario, we are starving masses of children of adequate fact-finding and problem-solving skills while banking on the well-educated minority to float the nation through for another hundred years. This age of entrepreneurship and the rise of small businesses isn't a phenomenon of the Millienials; it's a gift from all adult generations to those little sprouts preparing to sell their first app on iTunes. Ads on school buses should become rallying battle flags of the next generation. At least if there are going to be ads, they should be for companies started by and run by students! *Incidentally, just yesterday, the New York Times reported that a judge issued a cease-and-desist order to POM Wonderful for their deceptive advertising. Bummer.